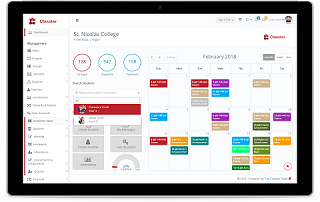 Passionate about technology in education, we offer a holistic approach in school management with Classter - our flagship product. Classter is a unified solution for educational institutions that manages data information efficiently, reduces management costs, shares knowledge effectively and builds solid communities. A serviced IT sector ensures productive work and higher business results. We provide comprehensive IT and management services. We don’t just sell software packages, we sell turnkey systems. Committed to deliver value to our customers, we build applications, from custom website design to development of complex enterprise web applications and advanced mobile solutions, for exceptional user experiences. Vertitech has provided us with high quality IT services and implemented a series of demanding projects on time. We fully trust them. We are happy to be the first and largest customer of Vertitech. Since 2007, Vertitech has supported our IT operations effectively and on time. We keep doing business with Vertitech with the acknowledgment of their deep business and technical skills. We are the first private K-12 school that implemented VertiSchool in Greece. We are extremely happy with the overall product progress and the continuous improvements in all aspects. An excellent collaboration with the development and management team of Vertitech, has helped us to implement VertiSchool using our own IT personnel with the minimum possible cost. VertiSchool now really rocks! As a Vertischool end-user I have to admit that your system proved to be a life-saver! Mass invoicing used to take me 7 days and now I need only 30 minutes. Thank you! We are always looking for talented and passionate individuals driven to lead and help them develop to their maximum potential.